Update: As of March 28, Amazon is now officially the slowest way to order the new model with Wireless Charging Case. While Amazon listed the delivery date beforehand as 4–5 days, it now says anywhere between April 26 and May 27. Some who preordered late during the 4–5 delivery option are also seeing their delivery dates pushed back to May 27. While Best Buy doesn't have any in stock right now, it claims to ship them out by April 3, with no delivery date mentioned. Apple itself will deliver them between april April 12–22. So those two are you best option right now until other stores actually get a hold of stock. If you preordered with Amazon and have a late delivery date, you can cancel easily since you weren't charged yet. 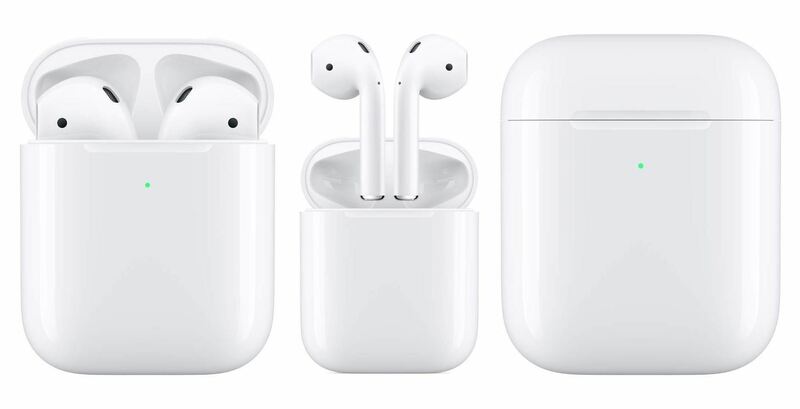 Preorders are going on right now for second-gen AirPods, which will be officially released in physical Apple Stores next week sometime, and that's looking like it may be Tuesday, March 26. Original delivery estimates for AirPods 2 (they're not actually called that) preorders from the online Apple Store ranged from March 27 to March 29, and Amazon states the release is March 26, so Tuesday is a good bet. However, if you don't live near an Apple Store and haven't preordered yet, or if you don't want to deal with any lines, the current delivery estimate for AirPods with the Wireless Charging Case from Apple is between April 5 and April 10. If you don't want to wait that long and would rather have them in your hands by the end of this week, preordering from Amazon is the way to go. If you're not an Amazon Prime paying member or household member, you'll currently get free shipping with a delivery span of 5–8 business days. Expedited shipping, something you cannot do on the Apple Store, will speed that up to 4–5 business days as of this writing. If you are an Amazon Prime member, you get that 4–5 business days estimate for free. That means you could get a pair as early as Friday, March 29, which is seven days earlier than Apple's estimate right now. The second-gen AirPods with the regular Charging Case have a delivery estimate of April 1 to April 3 right now from the Apple Store, as well the Wireless Charging Case by itself. Amazon's delivery estimate is the same for all three options, 4–5 business days for earliest delivery, making it March 29 to April 1. So, Amazon has a faster delivery time by a few days at least. Note that Best Buy has preorders open, but has already run out of AirPods with Wireless Charging Case models, since you can no longer preorder them. The Wireless Charging Case itself just says "Coming Soon." The AirPods with Charging Case can be preordered at Best Buy, but the "ship" date isn't until March 29.